sparking a new era of free agency and high salaries. Marvin Miller never played baseball, but he altered the game dramatically with his leadership of the Players Association. He led the players in battles against the owners and won every time. Ken Holtzman and Steve Stone were among the beneficiaries of Miller’s work. Two of the best Jewish pitchers of all time were rewarded after enjoying big seasons on the mound. Easily one of the most impactful men in baseball history, Miller helped the players form their first union in the 1960s. It revolutionized the game, leading to the elimination of the reserve clause, free agency and dramatic increases in salaries. In 1981, he held the players together during the first in-season strike that wiped out more than 700 games. He won virtually every battle with the owners, so naturally the players revered him. No less than Bud Selig, who battled him as an owner, said Miller belongs in the Baseball Hall of Fame. Phase 2 of Holtzman’s career occurred on Nov. 29, 1971, when the Cubs traded him to Oakland for Rick Monday. He went on to be a key part of the A’s dynasty. From 1972-1975, he had four straight years when he won a minimum of 18 games per season. He collected four victories in World Series games. He finished his career with 174 victories, still the most ever for a Jewish pitcher. 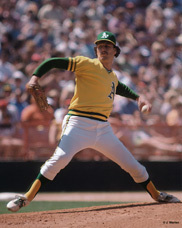 Stone enjoyed a steady, if not a spectacular, career as a starting pitcher throughout the 1970s. Then at the age of 32, it all came together for Stone in 1980. On a Baltimore Orioles team known for strong pitching, he had a season for the ages, posting a 25-7 record. He was the American League starter in the All-Star Game, retiring all nine batters in three innings of work. The showing enabled Stone to join Sandy Koufax as the only Jewish pitchers to win the Cy Young Award. You will be hard-pressed to find a person who had a longer career in baseball than Reese. 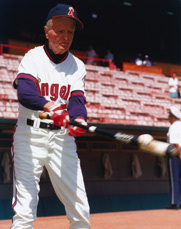 He went from being Babe Ruth’s roommate as a player to being a long-time coach with the California Angels until his death in 1994 at the age of 92. With the Angels, he was so beloved by the players, Nolan Ryan named one of his sons after him. Known for being a magician with the fungo bat, the Angels retired his No. 50. Along with Eddie Einhorn, Reinsdorf purchased the White Sox from Bill Veeck in 1981. Two years later, the Sox won the American League West, their first title of any kind in 24 years. Reinsdorf’s business acumen soon made him one of the most influential owners in baseball. Known as “The Clown Prince of Baseball,” Patkin entertained countless fans at minor and major ballpark for decades. Yet he gained perhaps his most notoriety with a cameo in “Bull Durham” in 1988, sharing a scene with Kevin Costner and Susan Sarandon. Maddox, an African-American outfielder for several teams, converted to Judaism. 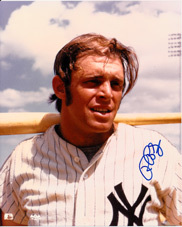 He hit .303 with the Yankees in 1974, finishing sixth in the American League. A Chicago native who modeled himself after former Cub Ken Holtzman, he got the chance to pitch for his hometown team. Baumgarten won 13 games for the White Sox in 1979. In 1980, he pitched a one-hitter against the Angels. The long-time baseball writer for the Chicago Sun-Times and Tribune, he was known as “The Dean” for his work in covering the game. Holtzman is credited with creating the save as a statistic for relievers. The Hall of Fame really measures your impact on baseball. And while people may not like it, he did have quite an impact on baseball. So, yes, if I was voting, I would vote to put Marvin in the Hall of Fame, no question about it. In order to reach the big leagues and stay in the big leagues, one must have an innate knowledge of the game including its strategy and techniques. There are no dummies in the big leagues and, to me, one's college grade point average should equal one's ERA. I think my career ERA is about 3.4 which is just about my career college GPA. I used to try not to lose before. Now, when I go out, I go out to win every time, and I'm certain I am. I try to envision myself literally walking off the mound a winner. I allow no negatives in my thinking. A group headed by Bud Selig purchases the Seattle Pilots for $10.8 million and moves the team to Milwaukee. The Cubs’ Ken Holtzman pitches his second career no-hitter in 1-0 win over Cincinnati. Mike Epstein, now with Oakland, hits two homers, giving him four in a row over two games. Ron Blomberg becomes the first DH. Luis Tiant walks him with the bases loaded. He goes 1-for-3 in a 15-5 Yankees loss to the Red Sox. 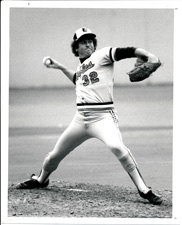 Ken Holtzman earns the victory as Oakland beats the Mets in Game 7 of the World Series. Ken Holtzman, batting for the first time all season, hits a homer in the third inning en route to a 5-2 victory over the Dodgers in Game 4 of the World Series. Steve Stone starts for the American League and retires all nine batters in 3 innings of work. Play resumes after the longest work stoppage in baseball history. Marvin Miller and the Players Association are viewed as winners in the strike. Steve Stone joins Harry Caray in the Cubs’ TV booth. It begins a second career for Stone in which he soon becomes regarded as one of the best analysts in the game. During Marvin Miller's tenure as the Executive Director of the MLBPA, the average player's annual salary rose from $19,000 in 1966 to $326,000 in 1982. Ken Holtzman had 31 career shutouts. Ron Blomberg hit .329 in 1973 and had a career .293 batting average. Unfortunately, injuries forced him to retire after the 1978 season at the age of 29. Max Patkin estimates he made 4,000 appearances entertaining fans at ballparks.